How can you become involved with Stars in a Jar? Stars in a Jar is a volunteer based organization. All of our Jars are created using an active volunteer foundation. There are many ways that you can get involved! Join us at a local Jar Building Night, promote us on social media, and apply to to become one of our survivors. What is a Jar Night? 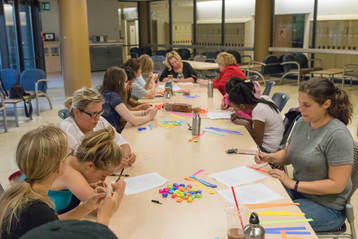 Jar nights are events held by your local chapter where Jars are made for local patients. All you need to bring is yourself -- and some friends! 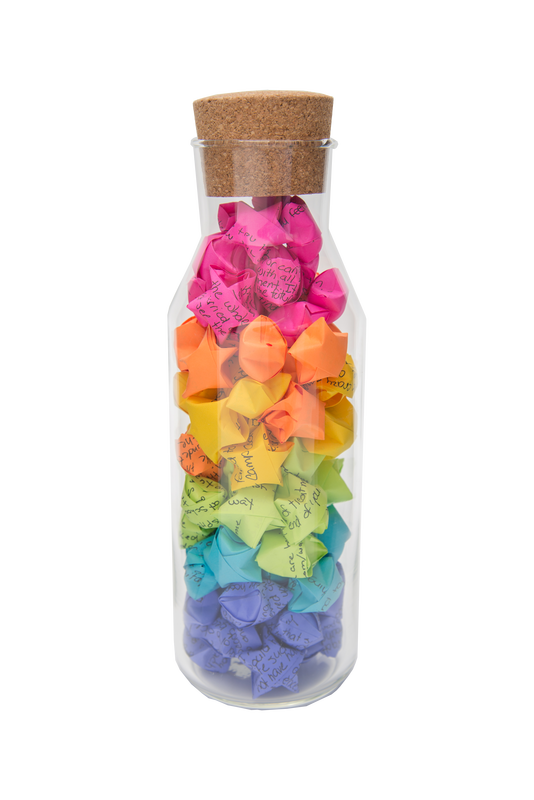 ​We provide the paper, pens, Jars, messages and snacks to make it a memorable event! Jar nights always have a start time, but it's always okay to show up late. You can expect that a full Jar night will run for around 2 hours. The more people we have the faster they go! You can come to as many or as little Jar Nights as you want, we have no commitment expectations. Want to keep track of local events? Check out the SIAJ Ottawa & Toronto pages for up-to-date information. Want to join our Survivor Roster? To become a Survivor on the Roster, you have to be able to write 90 unique messages, provide us with a little bit of information about who you are, when you were diagnosed, and of course a photo! After that, your work is done. We ask all of our survivors to write positive messages that would be encouraging or helpful to someone going through an experience close to their own. If this sounds like something that you'd like to do, please complete this Survivor Application and we'll get back to you as soon as you can.